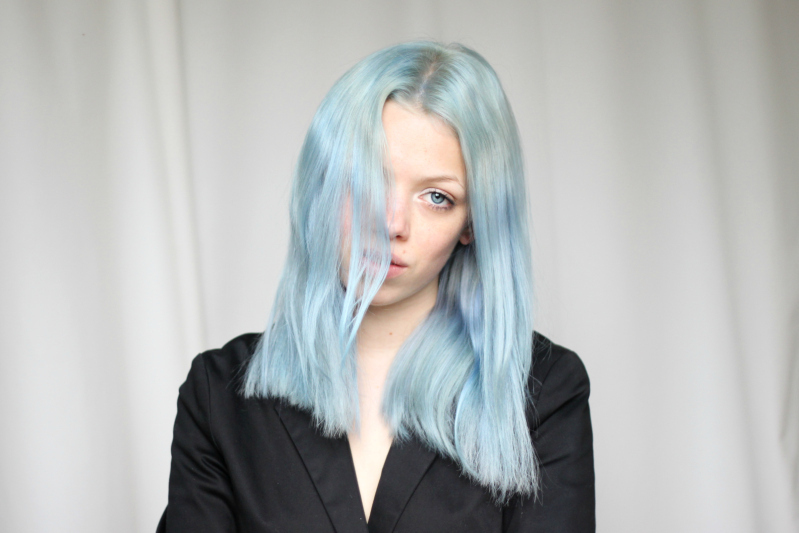 I admire Ivania Carpio from Love Aesthetics a lot for her personal style and well, I just had to share her amazing new hair color (“Lagoon Blue”). Since she usually sticks to a color scheme of white, black and grey when it comes to her clothes, she can be experimental and colorful with her hair. What do you guys think about pastel colored hair? Would you dye your hair? Or better leave it to Charlotte and Ivania..